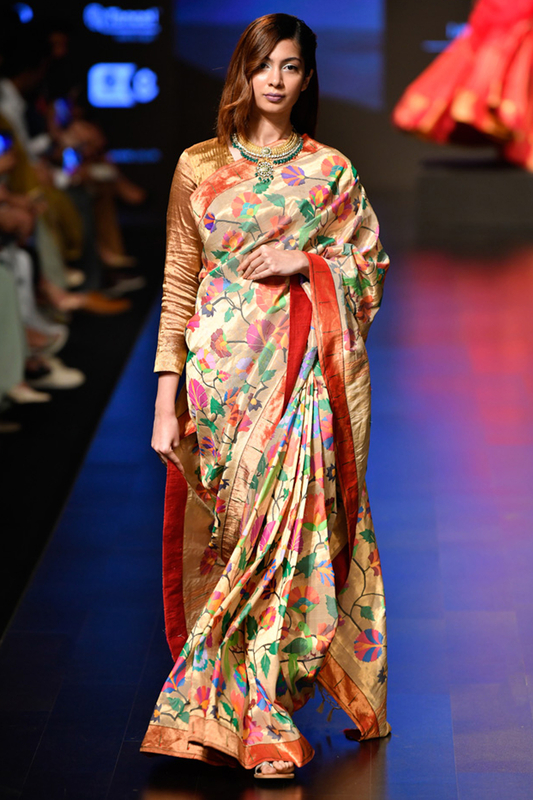 Gold floral sari by Sailesh Singhania at AASHNI+CO. Sailesh Singhania wraps you in 6 yards of elegance featuring a gold sari with paithani weave paired with a gold tissue blouse. Style the look with an antique gold jhumkis and stilettos.